Meet our caring and very very brave nurse Emma, who will be jumping out a plane next Saturday for St Luke’s. Having only joined St Luke’s six months ago as a nurse on our specialist unit at Turnchapel, Emma is keen to get stuck in and raise some cash for patient care. 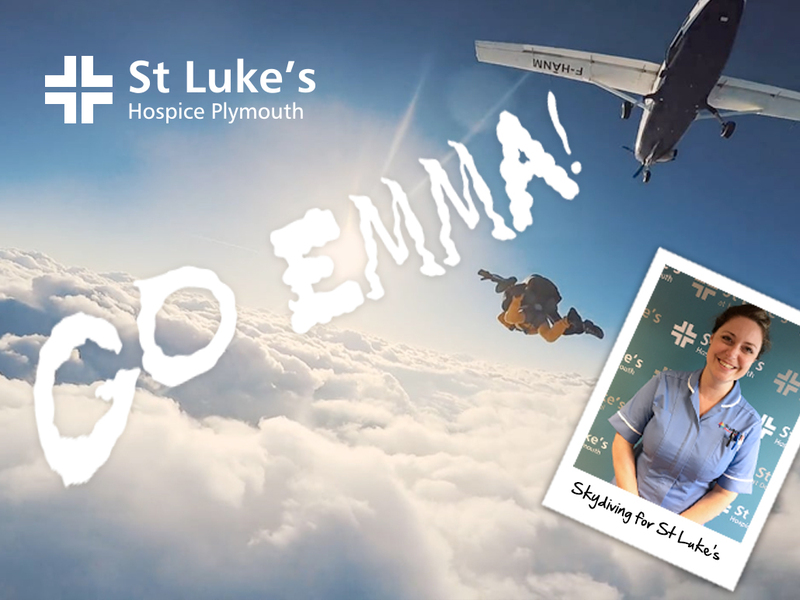 “It’s something I have always wanted to do and when I heard that St Luke’s organise regular Skydives, I jumped at the chance” said Emma. “The most daring thing I have ever done is go in a helicopter and skiing, so this is jumping in at the deep end”. Emma has already raised £500. If you would like to show her your support, check out her fundraising page. It is not to late to join Emma next Saturday on a St Luke’s Skydive. Pledge a minimum of £345 sponsorship and you can jump for free. Sign up online.